The dried bud or flower of deciduous macrophanerophytes of Sophora japonica L. of family Pulse. Everywhere in China, mainly in Liaoning, Hebei and Henan provinces. 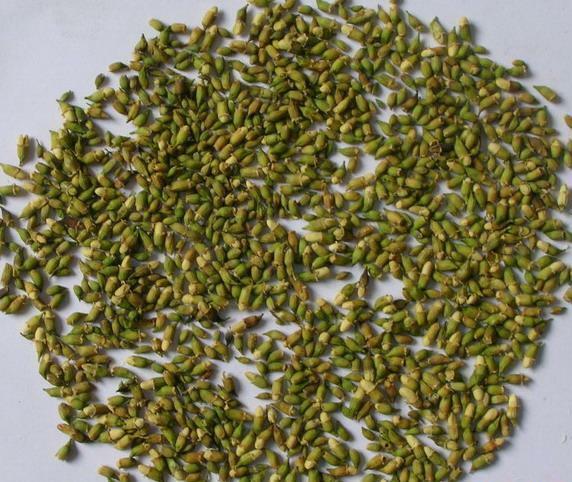 Its bud named Huai Mi collected in summer before its blossom. The flower named Huai Hua in its blossom. Fragrant, slightly bitter and astringent. Big figure and constrictive texture with yellowish green color. Discarded twig and stalk of inflorescence, purified and promptly dried; unprocessed, stir baked or stir-baked into charcoal. Bitter, slightly cold; liver and large intestine meridians entered. Cool blood and stop bleeding, purging liver fire. This herb is slightly cold and cool, and has the actions of cooling blood and stopping bleeding. Therefore, it is indicated for various bleeding caused by recklessly blood flow due to blood heat. It is the optimum to heat-induced bleeding in lower part of the body, such as bloody hemorrhoid and hematochezia because it is bitter with actions of descending and clearing and purging fire-heat in large intestine to stop bleeding. For bleeding due to acute and chronic hemorrhoid, it is usually combined with heat-clearing and blood-cooling herbs. For instance it is combined with Huang Lian, Di Yu and so on in Yu Huai Zang Lian Wan from Cheng Fang Bian Du (Explanation of Classic Prescription). 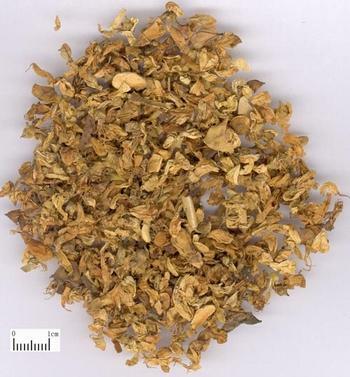 For hematochezia caused by blood heat, it is combined with heat-clearing herbs and fire-purgatives ,such as Zhi Zi in Huai Hua San from Jing Yan Liang Fang (Effective Experiential Prescription). This herb is bitter in flavor and cold in nature, good at clearing and purging liver fire. It is indicated for blood-shot eyes, head distension, headache, and vertigo and dizziness due to up-flaming of liver fire. 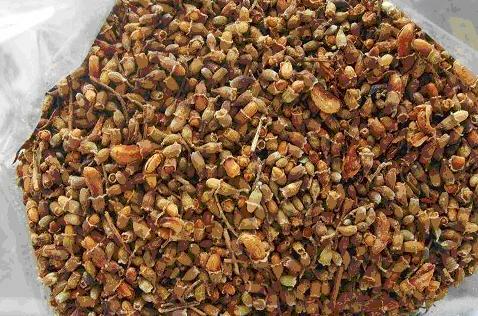 In this situation, its decoction can be drunk like tea, or combined with liver-clearing and fire-purging herbs, such as Xia Ku Cao and Ju Hua, etc. Decoct 10~15 g, proper dose for external application. When stopping bleeding, stir-bake it into charcoal; when clearing heat and purging fire, use the unprocessed.